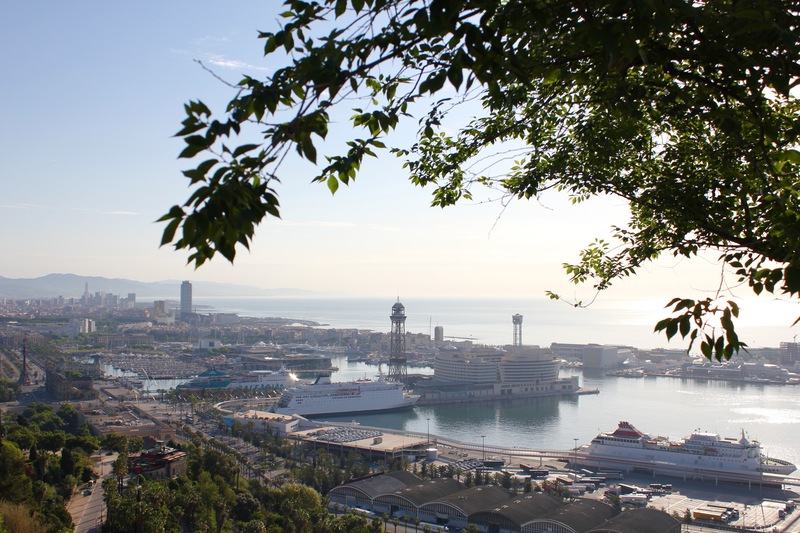 In our second time to Barcelona in less than five months, we decided to explore what Barcelona has to offer. At Christmas, we were in Barcelona but our tour was to nearby Montserrat, with that blog post found here. Barcelona is such a beautiful city on the Mediterranean Sea. It is very modern, but also maintains its historical charm, especially from the art nouveau buildings. 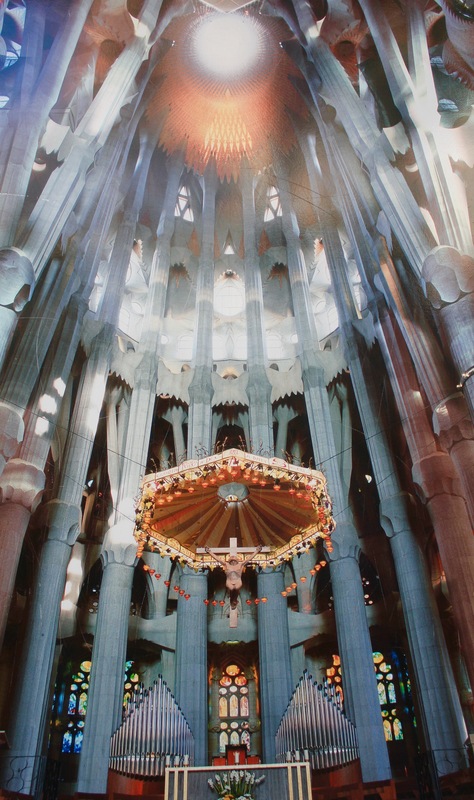 The centerpiece though of Barcelona has to be the Sagrada Familia (Basilica of the Holy Family). 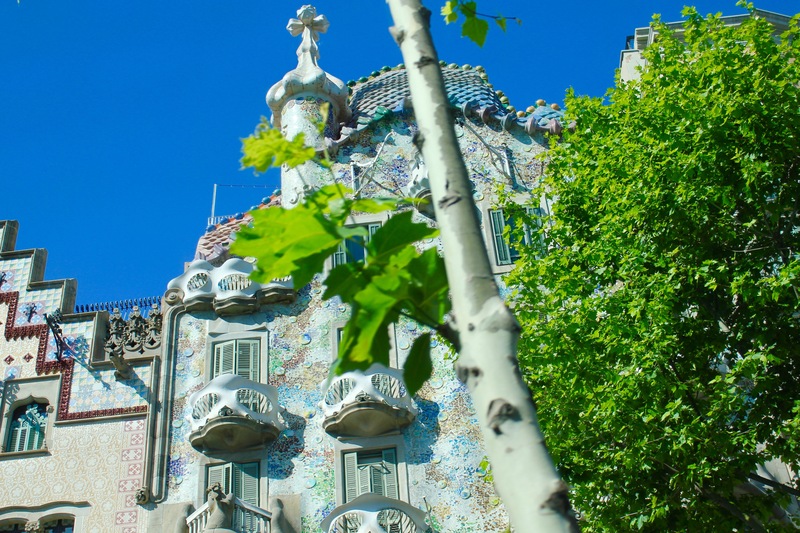 Whether your time spent in Barcelona is looking at architecture, the magnificent cathedral still under construction, or just relaxing by the beach, there is something for everyone in Barcelona. 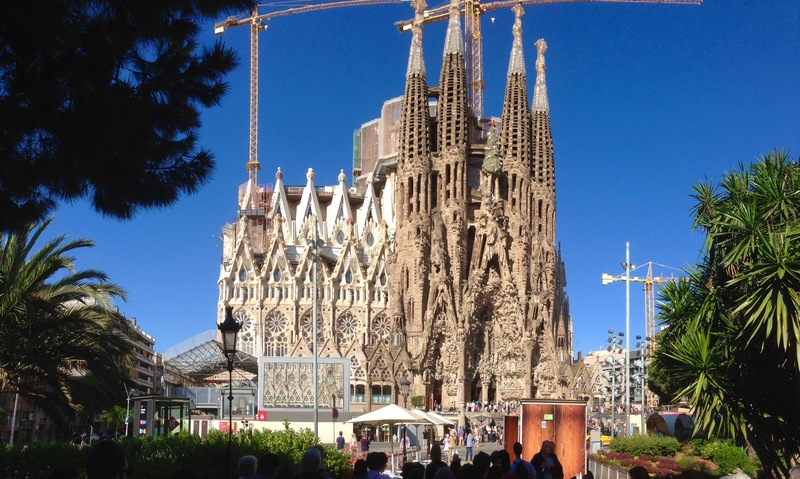 Our visit to Barcelona was a port of call during our May cruise of the Mediterranean. In fact, it was our last port before heading back to Italy. The excursion we decided to take was of the city itself and we had an excellent tour guide made available to us from the cruise line. Barcelona is another one of the great European cities we have visited, and one in which we feel we will return again in the future. The Olympic Torch at the Olympic Stadium that overlooks Barcelona. This is the site of the 1992 Summer Olympic Games. I remember watching on television the archer who shot his lit arrow up to the cauldron of the torch to light it….of course, in real life….this is MUCH smaller than what I thought it would be! 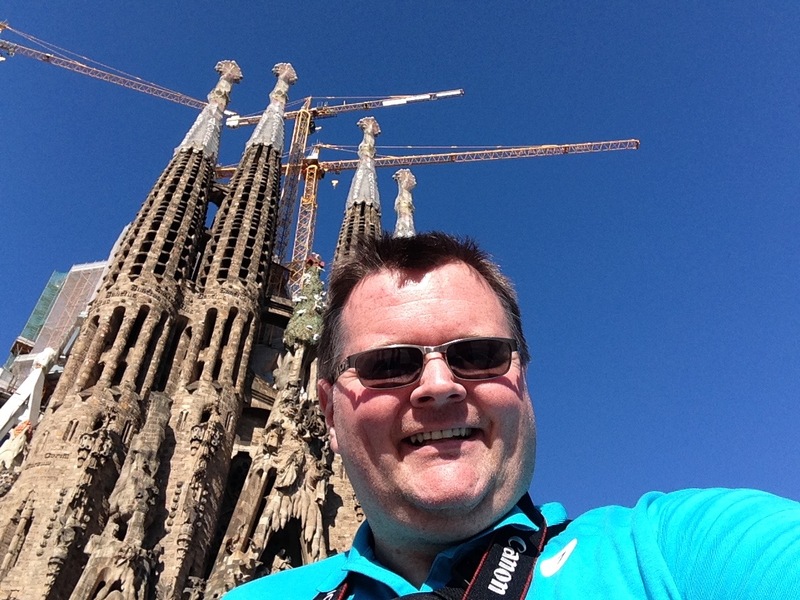 So…most really large cathedrals in Europe are very old and built centuries ago. 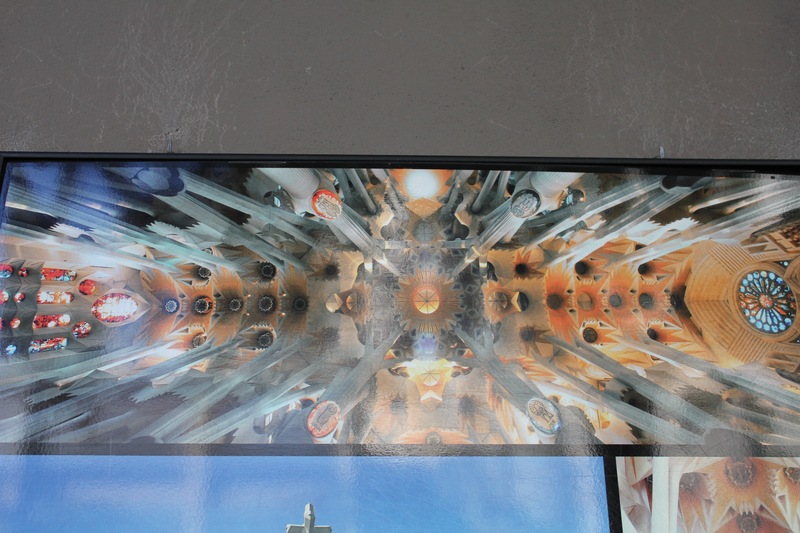 This one, the Basilica of the Holy Family (Sagrada Familia in Spanish) is still under construction. 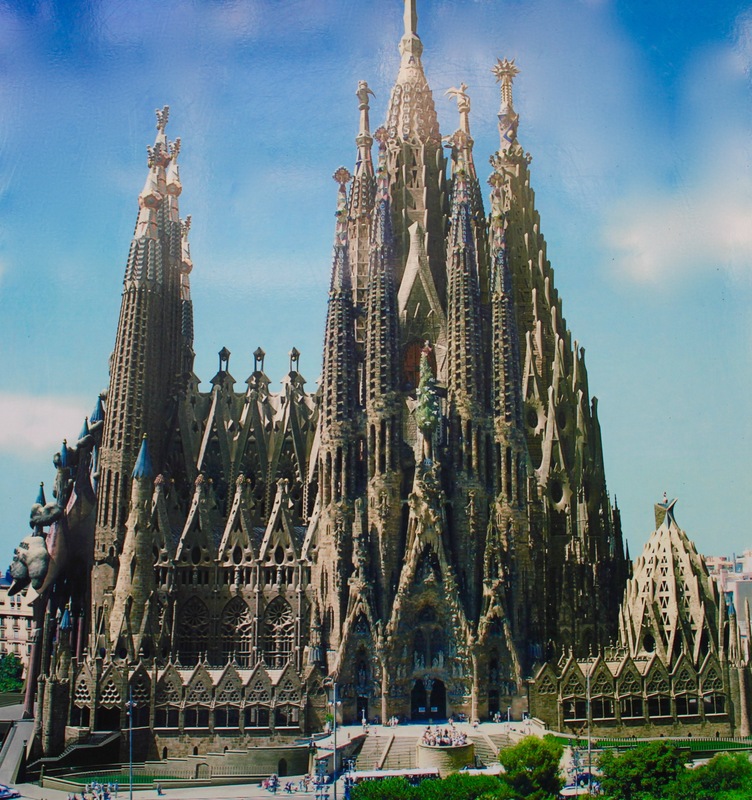 Started in 1882 and designed by the famous architect Antoni Gaudi, Gaudi oversaw construction until his death in 1926, when it was about 1/4 complete. 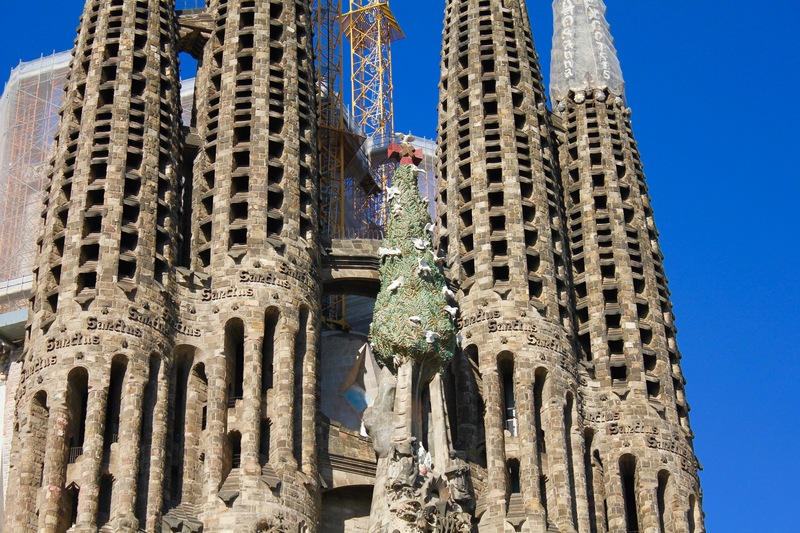 In 2010, it was 50% complete and it is projected to be finished in 2026 (100 years after Gaudi’s death). The style is Gothic + Art Nouveau, which to me, almost makes this look like something from a cartoon with its features. FYI – the Christmas Tree? 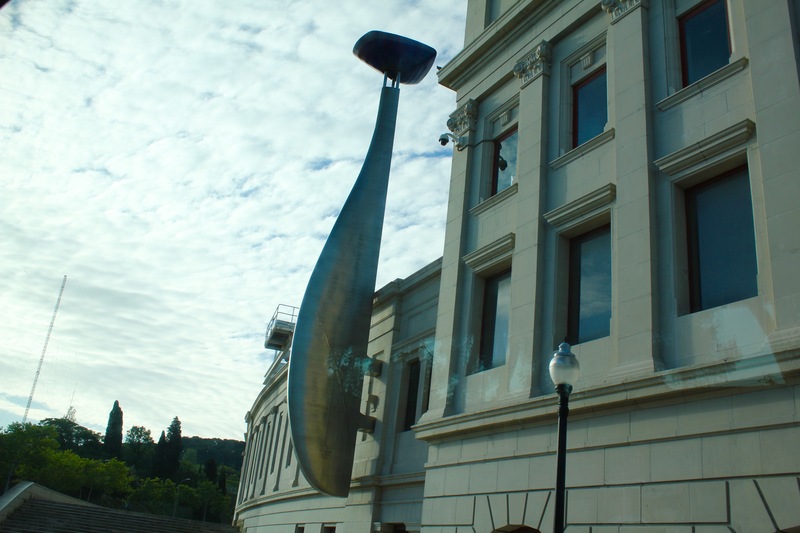 It is fake and placed on top of the building during construction. This is a tradition for most construction projects in the Western Hemisphere, where the tree symbolizes the top of the structure being built…you should see this from time to time when larger buildings are being built by construction workers. The tree is removed during a “topping off” cermony when the work is complete at the top. 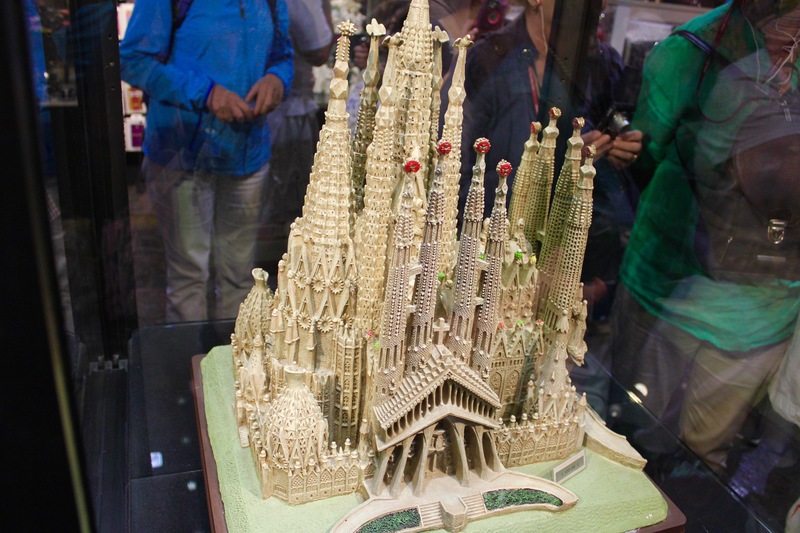 Also, Gaudi designed many buildings in Barcelona. 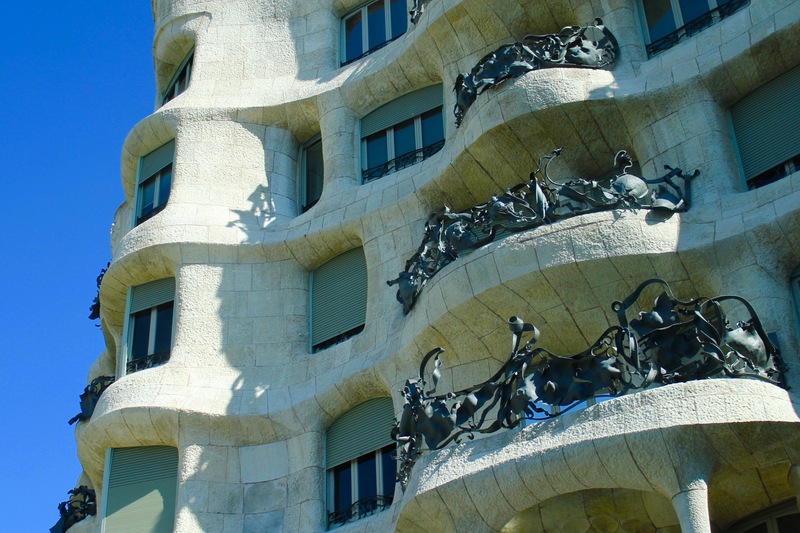 This particular building is made to represent the love that Gaudi had for the theater. The balconies are actually masks that would be worn, which is easier to tell when stepping back from the building. Stepping back, you can see the “masks” in the balconies. 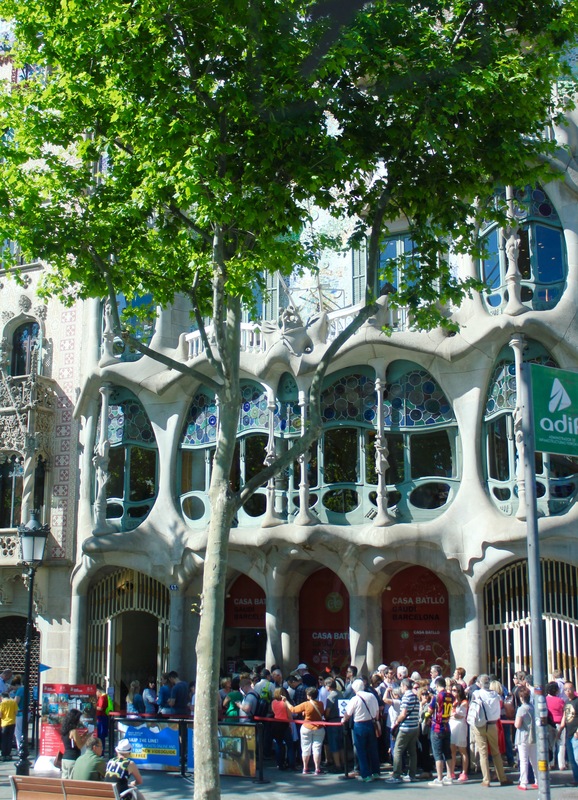 The style of Art Nouveau is characterized by curvy lines rather than straight ones, and Gaudi is considered a master at this style. This pedestrian street was lined with vendors selling lots of souvenirs to tourists. 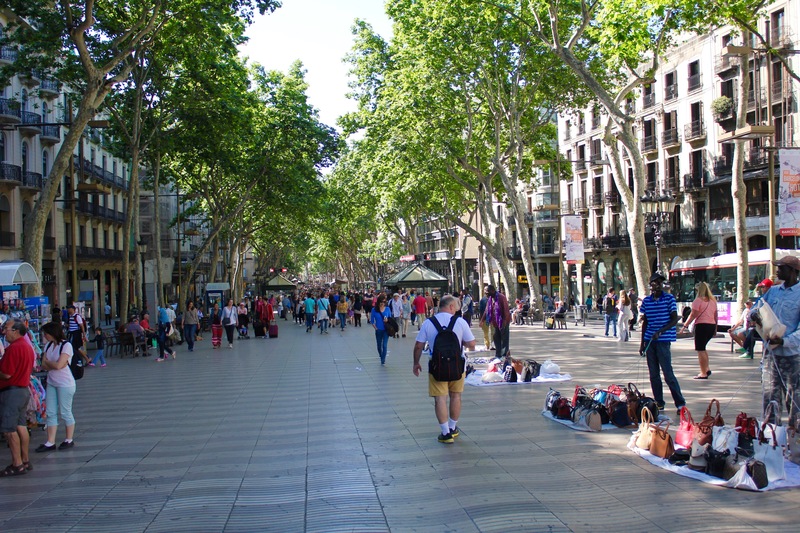 This is the part of Barcelona where you have to be very mindful of pickpockets. Notice the guys selling real, genuine fake Prada bags on the right….the bags sit on top of a blanket, and each corner is tied to a rope. The guy stands there with the ropes in his hands, and if he sees the Police, will pull the ropes and all the bags fall into the blanket and he runs off. Admittedly, I waited to watch and see if this would happen, but alas no police. 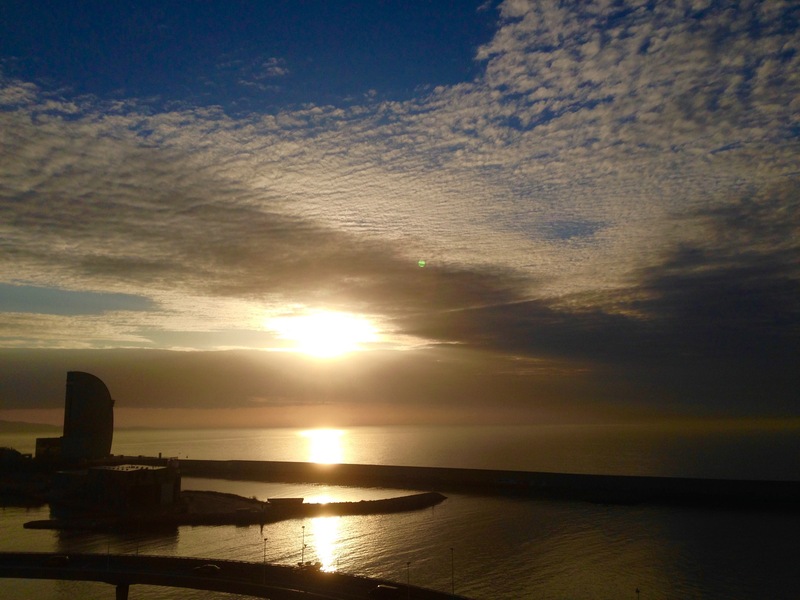 Sunset as we left Barcelona….So ends our three days in Cannes France, Majorca, and Barcelona. 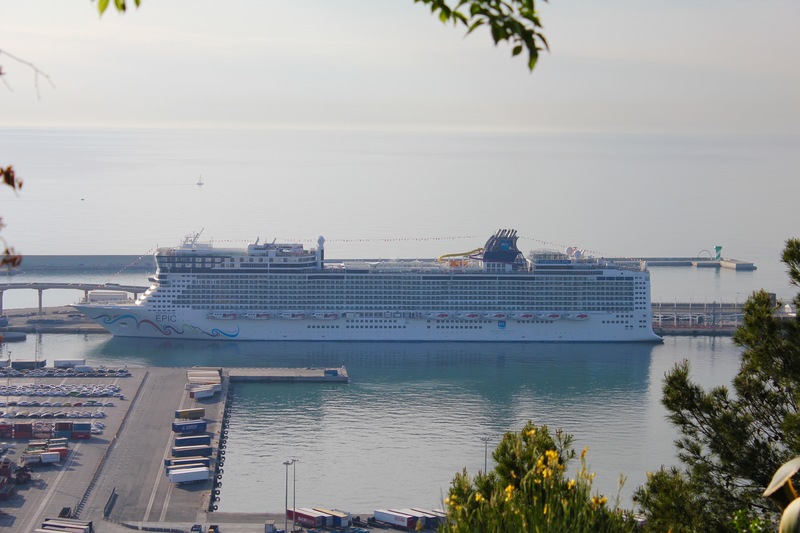 After a day at sea, we arrive to our next port of call in Naples, Italy…. I am the author of the science fiction, thriller “Salvation Trilogy” series. Please contact us if you wish to reproduce any pictures contained within our site.